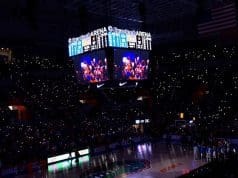 It has been a busy past few for the Florida Gators recruiting class of 2019 and on Monday they added yet another member to the class. 2019 offensive lineman Andrew Coker (6-7, 335, Katy, TX. 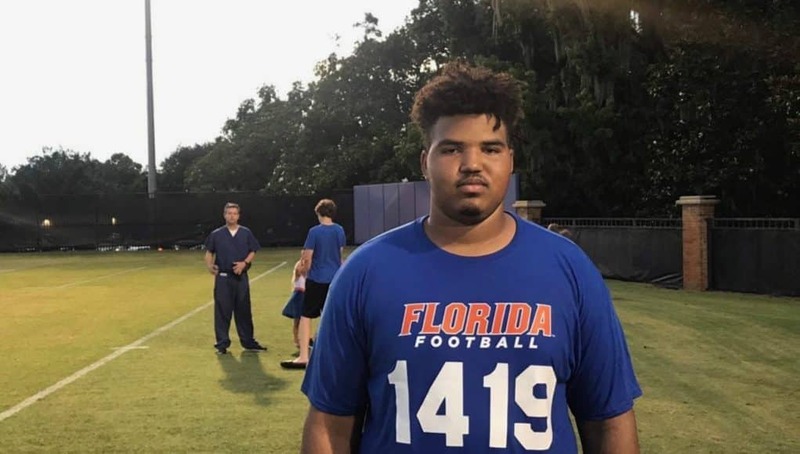 Taylor) announced his commitment to Florida after spending the weekend in Gainesville and he explained why he decided to announce on Monday. Coker committed to both head coach Jim McElwain and offensive line coach Brad Davis and they were very excited to hear the news. Coker says he was welcomed onto campus and felt like a priority for the Gators during his visit to Gainesville. 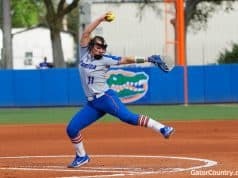 Last weekend’s visit to Florida was something that Coker has been thinking about for awhile as the Texas native grew pulling for the team in Orange and Blue. Coker had the chance over the weekend to work with offensive line coach Brad Davis and the lineman walked feeling comfortable with Davis. After camping with Davis, Coker had the chance to sit down and hear the Gators coach’s message. McElwain also made sure to give Coker a recruiting pitch about making his dream of being a Gator come true. Joining Coker on campus last weekend was several Gators commits including two 2019 commits Jaleel McRae and John Dunmore and the two of them were working on Coker. 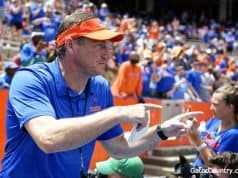 INSIDERS TAKE: Coker says that his decision is solid and that he plans to turn his attention to recruiting others to Florida including several guys in his district out in Texas.